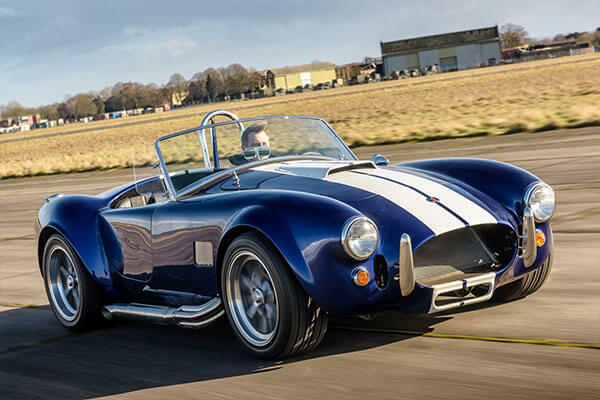 The AC Cobra otherwise known as the Shelby Cobra is a classic supercar which is yours to drive around one of our many UK venues for a driving experience. 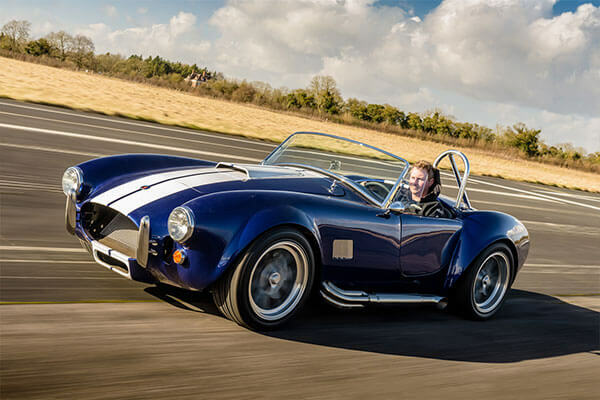 The AC Cobra has everything you could ask for in a classic car. It has a rumbling V8, super handling and it comes in the famous blue with the block white stripe. Your experience will begin with a drivers safety briefing and then its time to get into the driver's seat for 3 miles that will leave you wishing you had this toy to take home. Movie fact - this model of car (the 1965 Shelby Cobra 427) was owned by Tony Stark aka Iron Man! A driving experience course in Essex designed for non licence holders to discover the thrill of driving a car for the first time. Drive your choice of 3 Supercars from a selection of 6 including Ferrari, Aston Martin, Lamborghini and Porsche. 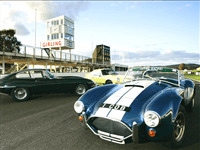 You will be driving each Car for 3 laps of the high speed circuit at Bruntingthorpe on this fantastic experience. 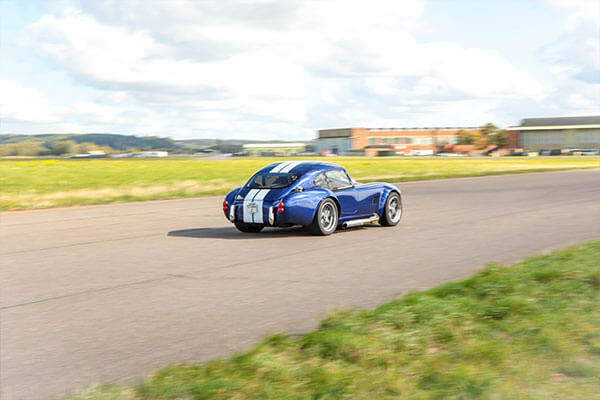 Pick your favourite from a fleet of five Classic Cars and take it for a track driving session at the nostalgic Bicester Heritage venue in Oxfordshire on this classic car driving thrill.